7:06 a.m. — A caller from the 200 block of Sutton Way made an anonymous report of the location of a stolen vehicle. The caller said someone also stole a plate off a different vehicle and put it on the stolen vehicle. The caller said people were planning on leaving town and going to an Indian reservation to hide the car. The vehicle was located. 8:25 a.m. — A caller from the 800 block of Sutton Way reported smelling something decomposing behind a business. An area check was conducted. Officers were unable to locate where it was coming from. 8:34 a.m. — A caller from the 2000 block of Nevada City Highway reported someone cussing and screaming at a business’s staff. The caller said the person spent an hour in the store filling up a cart and then, when the person realized they were being watched by store staff, began to place items back on the shelves. The caller said the person called her derogatory names and left. 9:55 a.m. — A caller from the 100 block of West McKnight Way reported someone attempted to run over her and her children as they were crossing a parking lot. 1:45 p.m. — A caller near the corner of Neal Street and South Auburn Street reported one of the local crackheads was rustling in the trash behind the local businesses and checking out cars. 3 p.m. — A caller from the 300 block of Joerschke Drive reported a man refusing to leave a lobby, being uncooperative. An arrest was made on charges of driving under the influence, driving on a suspended license, resisting a public officer and petty theft. 7:15 p.m. — A caller from the 700 block of Freeman Lane reported a 2-year-old being abused due to spilling her father’s beer. The father verbally abused her and hit her head on a car seat. The father then made threats to the caller when the caller told him he was out of line. An arrest was made on charges of willful cruelty to a child and a probation violation. 7:59 p.m. —A person was stopped near the corner of West Empire Mine Street and South Auburn Street. An arrest was made on charges of possession of a controlled substance while armed, having a loaded firearm in public, possession of a controlled substance and possession of controlled substance paraphernalia. 1:58 a.m. — A caller from the 1800 block of East Main Street reported someone yelling, running around and smashing things. 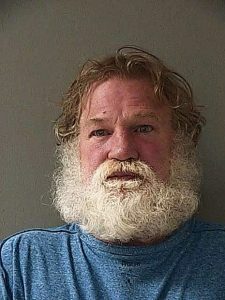 An arrest was made on charges of two counts of possession of a narcotic controlled substance, being under the influence of a controlled substance and possession of controlled substance paraphernalia. 2:31 a.m. — A person was stopped near the intersection of the Golden Center Freeway and Idaho Maryland Road. A person was arrested on charges of driving under the influence and carrying a concealed firearm as a vehicle driver. 3:18 a.m. — A caller from Fairview Drive reported someone just ran off when he opened his door, and he found a pair of earphones next to his vehicle. 6:48 a.m. — A caller from Appaloosa Court reported the battery to his vehicle was drained the previous evening and there were two Sheriff Royal business cards on his vehicle. The caller believed it was his landlord doing it but couldn’t prove it. 6:55 a.m. — A caller from Wintering Ground Road reported a man loitering in the area. 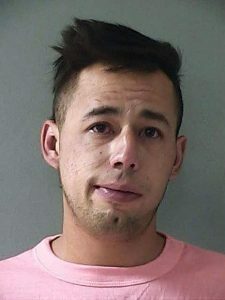 He told the caller he was hiking in the area and refused to leave the caller’s private property. A person was arrested on charges of receiving known stolen property, a probation violation, possession of a controlled substance and possession of burglary tools. 8:06 a.m. — A caller from Vista Avenue reported a shockingly aggressive owl. The caller said the bird drove he and his wife back into the house. He said he and the owl were making eye contact earlier. 10:06 a.m. — A caller from Englebright Lake reported his boat was ransacked the previous night, and vandalized as well. 5:51 p.m. — A caller near the corner of Lakeshore North and Shadow Drive reported a buck with a rope stuck in its antlers hanging down to the ground. 6:14 p.m. — A caller near the intersection of Highway 49 and Tyler Foote Crossing Road reported two men physically fighting in the middle of the highway. 8:18 p.m. — A caller from Greenhorn Access Road reported a fight between six people. Two left the area in a boat, possibly drunk. There was an injured person yelling at a woman and trying to leave. A skinny man in a golf cart stopped to talk to the injured person. 10:43 p.m. — A caller from Shady Creek Drive hung up. On call back a woman was yelling, telling someone to “shut up.” The caller said there was no emergency and that she was yelling at her boyfriend who had thrown a bottle at the wall. The caller said if it was serious she would call back. 9:59 a.m. — A caller near the intersection of the Golden Center Freeway and Gold Flat Road reported running over a tire in the northbound lane and her airbags deployed. 3:05 p.m. — A caller from the 900 block of Maidu Avenue reported a female intern was leaving, got into her vehicle and was approached by a man. The intern locked herself in her vehicle and the man pounded on the windows and shouted at the intern yelling that she was pretty. 11:58 p.m. — A person was stopped in Calanan Park. A person was arrested on charges of a probation violation.